They're the safest places the moon has to offer. Because the moon has no atmosphere and is home to a host of unfriendly occurrences like extreme temperature variation, radiation, and meteorite impacts, astronauts who venture to our nearest neighbor will need to find proper shelter before they can accomplish anything outside of their vehicle. Human-made colonies are still a ways off, if they ever happen, and to create them we would need to use materials naturally occurring on the moon itself and, according to JAXA, the Japan Aerospace Exploration Agency, the safest form of shelter would be the interior of a lava tube. Lava tubes may not sound like the safest place for a human to reside, but it should be noted that these tubes become structurally stable once the lava flow has stopped and the newly formed tunnel drains completely. These tubes are also found on Earth, but they usually pale in comparison to the size of lava tubes created on the moon which are often large enough to comfortably house an entire U.S. city. In order to better understand the moon’s lava tubes, JAXA relied on radar data gathered by the SELENE spacecraft which currently orbits the lunar body. They also consulted with NASA scientists who worked on the 2011 NASA Gravity Recovery and Interior Laboratory (GRAIL) mission — a mission in which a pair of spacecraft orbited the moon to collect data on its gravitational field. 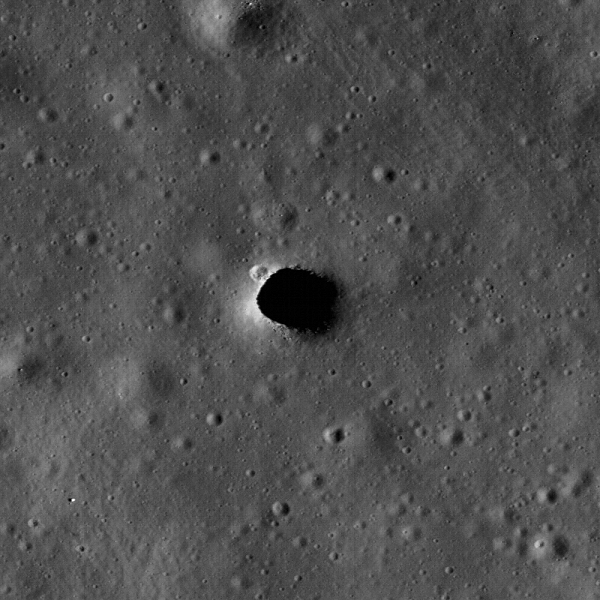 Using GRAIL’s information, the JAXA team was able to cut down the amount of data they needed to sort through and they eventually found evidence of lava tubes near Marius Hills — a set of volcanic domes located on the moon. Discovering lava tubes is essential to our plans to send people to the moon and eventually, potentially, colonize it. Earlier this month, Vice President Mike Pence said the moon was “a vital strategic goal” that would improve our ability to travel further than ever before. This clearly implies the global goal of reaching Mars, with Elon Musk’s plans of potentially creating habitats on the red planet with his boring drill.